CARLSBAD, Calif., March 26, 2012 (GLOBE NEWSWIRE) -- As exciting as boxing is, it just has not been the same since "Iron" Mike Tyson left the ring. When he fought it was truly an event much like watching Michael Jordan in the NBA Finals or seeing Tiger Woods go for a win on Sunday at Augusta. He achieved greatness by unifying the WBC, WBA and IBF heavyweight titles and was recently inducted into the Boxing Hall-of-Fame. Now Tyson joins the Upper Deck team to appear in new trading card releases and to lend his signature to trading cards and Upper Deck Authenticated memorabilia. "Having the opportunity to partner with Mike Tyson provides Upper Deck the chance to bring the boxing community innovative and quality collectibles the likes of which they have never seen," said Jason Masherah, Upper Deck's vice president of Marketing and Business Development. "Collectors will get quite a thrill when they pull an autograph card of 'Iron' Mike from new Upper Deck packs. Our Upper Deck Authenticated team is thrilled about developing signed memorabilia for Tyson that will become the primary talking piece for any room they are displayed in." 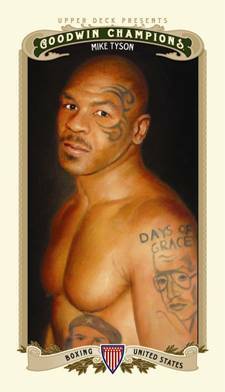 Mike Tyson will make his trading card debut in Upper Deck's 2012 Goodwin Champions and appear in several other trading card releases this year. Rare signed versions of his cards can be found in these releases as well. Upper Deck Authenticated is holding a signing session with Mike Tyson soon and will be sharing a variety of signed items of the champ from there. 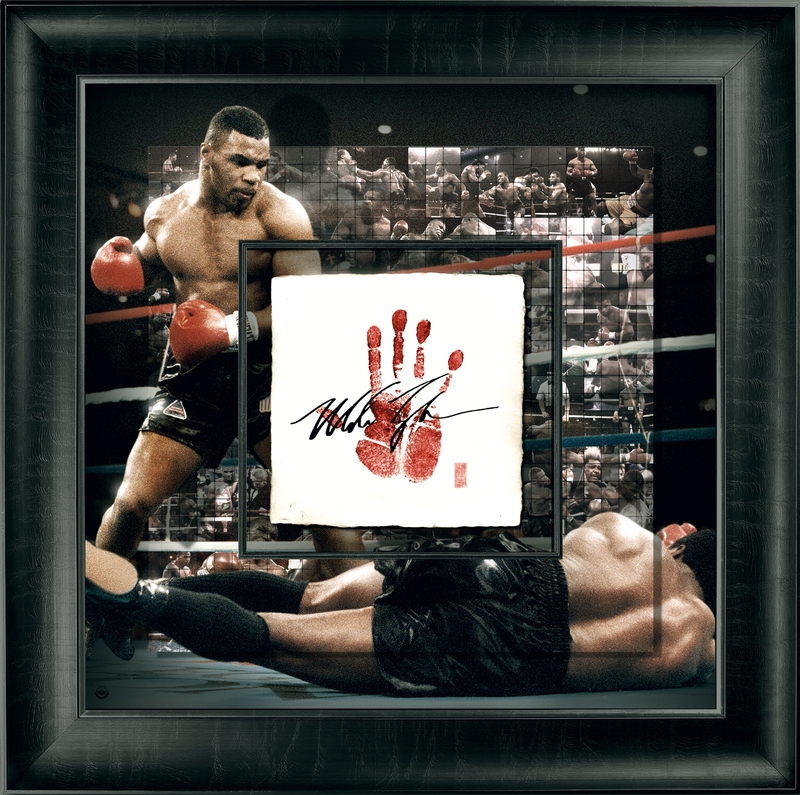 One of the more anticipated pieces will be the Mike Tyson "Tegata" piece which will not only include Tyson's signature, but also an ink handprint. This Japanese inspired collectible made their debut from UDA with exclusive spokesmen Michael Jordan and LeBron James in the last year. Mike Tyson UDA memorabilia will be available online at www.upperdeckstore.com, by calling (800) 551-8220 or through one of Upper Deck's authorized UDA distributors. Upper Deck is the leading sports and entertainment trading card and collectibles company. For more information on Upper Deck and its products please visit www.upperdeck.com.